As information is released about victims of the bombing at the Ariana Grande concert in Manchester, England, my stomach aches as the victims’ names are confirmed. 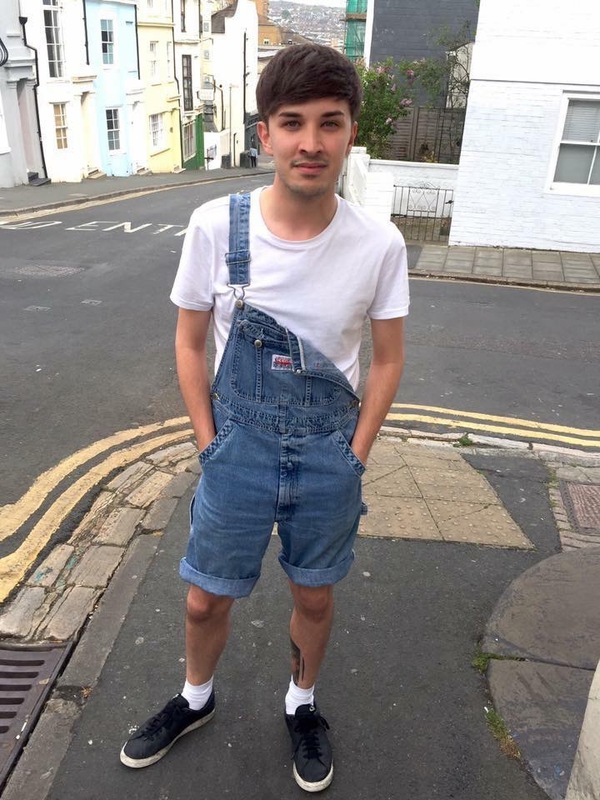 One of the victims is a young gay man named Martyn Hett who had left his best friend inside the arena to head out to the bar. He was not seen nor heard from again and the family confirmed today that he is one of the victims of the tragedy. Manchester Police have confirmed that 29-year-old Martyn Hett is the 10th named victim of the Manchester bombing. Hett, a gay journalist and PR manager, went missing Monday night (21 May) after a suicide bomber targeted concertgoers who were leaving the Manchester Arena moments after the Ariana Grande concert had concluded. The blast killed 22 people, including an eight-year-old girl, and injured 59. I had followed Martyn for some time on Twitter and Instagram. I remember retweeting the viral story of his helping mom with her craft business. He was so cute, funny and seemed like the eptiome of a best friend. He spent his last day with his best friend as Martyn was headed to the U.S. for two months and scheduled to depart the day after the concert. With such tragedies (and I am including Orlando’s Pulse massacre in this set), I am anxious about our own vulnerability. After the bombing hit international news, I had a conversation with a friend that it was only a matter of time when (not if) some nutcase would pull something similar in San Francisco – or, more precisely, in the Castro. LGBTs are at the lowest end of the totem pole for would-be attackers. Gay bars open directly onto the street. One minute we are watching RuPaul at a bar and the next moment our friends are Facebooking what we were wearing in the moments before we disappeared from social media. It all causes my head to ache. While social media brings us closer together and makes us feel like friends, it, in seconds, can become a key tool in a search for someone and for relaying information instantly. We sit and watch as tragedy unfolds in the trending section of Twitter. And then it hits us that we could be the next victims. I’m going to take the cue from Martyn’s brother that maybe it’s ok to be a trending topic in such a circumstance and the actual killer is not. Maybe we have the last laugh. RIP, Martyn all my thoughts and sympathies to all the families associated with this terrorist act. Tags: terrorism. Bookmark the permalink.